On top of New Britain 5-0 after 3 1/2 innings, the Senators appeared to be in control of Monday night’s game behind starter Paul Demny as he cruised through the Rock Cats the first time through the order. But six of the next seven batters recorded a hit to chase Demny to an early shower. Trevor Holder didn’t fare much better in relief as six of the next seven reached base safely before the inning mercifully came to an end with New Britain posting ten runs. But the Senators weren’t content to pack it in just yet as they got three runs back behind big hits from Josh Johnson and Jerad Head. Holder along with New Britain relievers Blake Martin and Bruce Pugh put an end to the offensive fireworks as both sides put zeroes up on the board into the bottom of the seventh inning. But then Marcos Frias happened. The righthander from the Dominican Republic was lit up like a Christmas tree as he allowed five more runs on three hits and two walks while recording only two outs in the inning that put the final nails in the Senators coffin. • The Senators scored a season-high eight runs (all plated by the fifth inning) on a season-high 12 hits. • So much for that sub-4.00 team ERA I told you about yesterday. After this debacle in New Britain, the Senators pitching staff earned run average ballooned over a half of a run to 4.46. • Brian Goodwin and Justin Bloxom led the Senators with three hits apiece as Josh Johnson and Jerad Head each kicked in two base knocks as well. • The Rock Cats are now batting .390 against the Senators and .253 against the rest of the league. 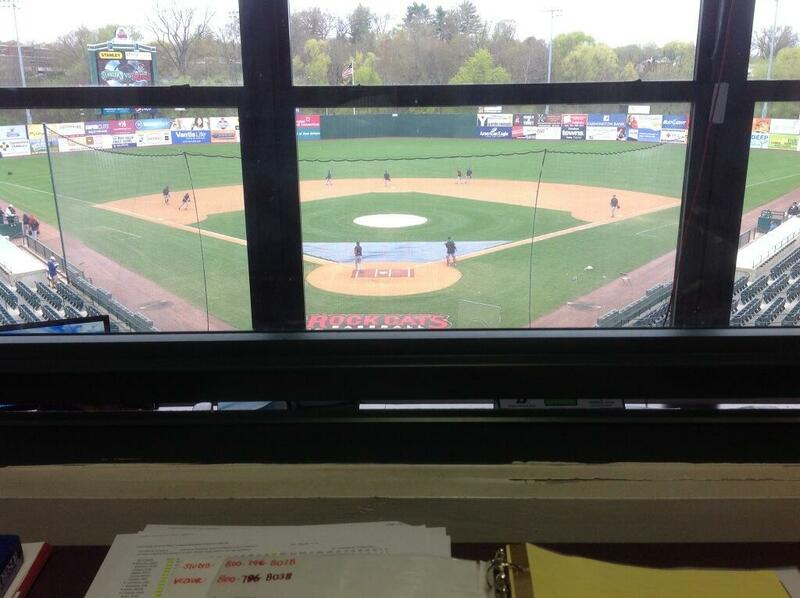 New Britain has now scored 51 runs in four games so far against Harrisburg. This entry was posted in Recaps and tagged Brian Goodwin, Harrisburg Senators, Jerad Head, Justin Bloxom, Marcos Frias, New Britain Rock Cats, Paul Demny, Trevor Holder. Bookmark the permalink.